Utilizing our access to a global network of scientific practitioners and partners and university research programs, we provide scientific assistance that spans work from efficacy studies, to safety and regulatory evaluations of ingredients. From concept to full-fledged product development that includes formulation and ingredient selection, Increnovo ensures product efficacy and safety. Commercialization of new products deserve the development of strategic marketing concepts – including advertising and public relations, competitive analysis of existing products and technologies, and product lifecycle management. Increnovo translates hard-won scientific data into marketing strategies that work. Our complex navigation of intellectual property strategies and laws (patents, trademarks) inspire confidence and allow our clients to protect their business interests as they become more marketable and grow. Services from global distribution to ingredient and product sourcing includes established relationships with China, Japan, South Korea, Malaysia, South Africa, Europe and the United States. 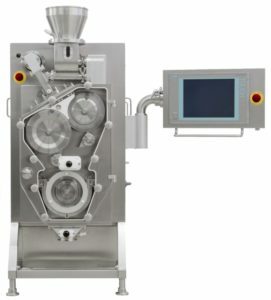 Increnovo’s partnership with Gerteis Maschinen + Processengineering AG (www.gerteis.com) enables the finest, most advanced dry granulation equipment industry-wide. With its innovative technological capabilities for design, development, process optimization and manufacturing, Gerteis is your perfect partner for dry granulation systems. Established in 1986 near Lake Zurich, it is now headquartered in Rapperswil/Jona (Switzerland). 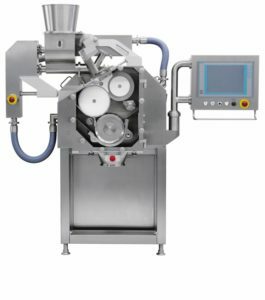 Gerteis specializes in the design, development and production of high-quality roll compactors for the pharmaceutical, food and chemical industries. To learn more about this next-generation equipment and how it may benefit your company, please contact us here.